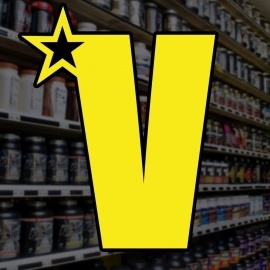 Vegas Discount Nutrition opened May 2013 prior to that it was Vegas Sports Nutrition it was sold & the name changed. The store has been at this location for 9 years. Vegas Discount Nutrition is the premier nutrition store in Nevada we have been #1 in sales year after year. We sell vitamins, supplements, protein, weight loss products, health foods & much more. We have a large selection & massive inventory of over 50,000 pieces. We have the best prices & are the only wholesale outlet with true online pricing in the state. 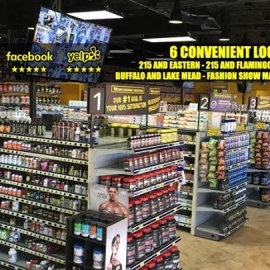 We have been rated 1 of the top 10 nutrition stores in the United States by our customers & suppliers. So if you are looking to gain muscle, lose fat or just maintain a healthy body our expert advisers will be more than happy to help you with your needs. 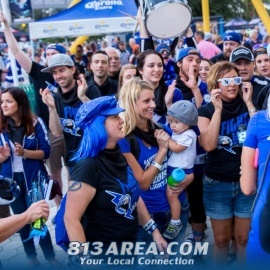 Our #1 goal is your 100% satisfaction. Vegas Discount Nutrition is located at 9680 S. Eastern Ave on the corner of Eastern & Silverado Ranch. We thank you for inquiring about our business & look forward to serving you!